Spawns during quest Blood Theory. No longer tameable since 5.2. Spawns when randomly infected beasts are attacked. The Klaxxi daily quest, Infection, allows you to see which beasts are infected by their aura, but isn't required to get the larvae to spawn. Spawns when randomly infected beasts are attacked. 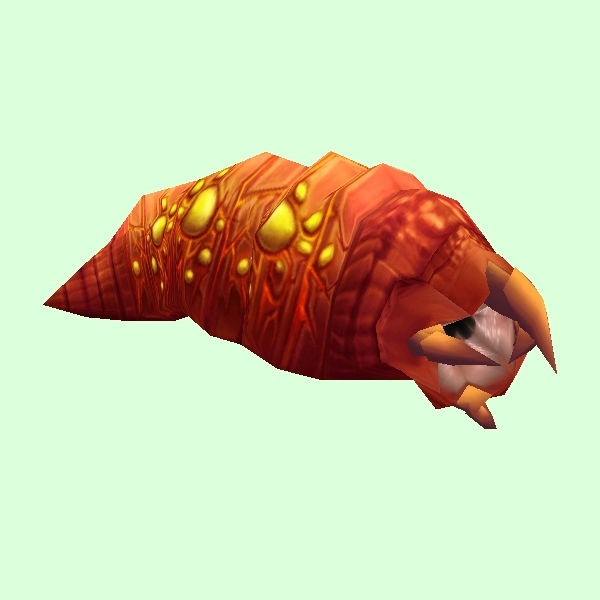 The Klaxxi daily quest, Infection, allows you to see which beasts are infected by their aura, but isn't required to get the larvae to spawn. Spawns when collecting "Jumping" vegetables during World Quest "Critical Crops".